Respiratory infections such as the ‘common’ cold and influenza can occur at any time of the year but are most common during the winter months. It is estimated that approximately 4.5 million Australians experience a cold at least once a year. No wonder it is called ‘common’! Kids average six to eight colds a year and adults between two and four. Colds and flus are not the same. Influenza is much more serious and in some circumstances can be life threatening. Those most at risk of very serious illness are the elderly, the very young and those with severely compromised immunity. Most people who are relatively healthy will recover from a bout of influenza within a few days. However if you don’t look after your immune system you will be susceptible to a relapse or to ‘catching’ the next infection circulating in your environment. There are many things you can do to improve and maintain a healthy immune system which will reduce the likelihood of succumbing to an infection. Colds and flus are very contagious and spread from person to person via droplets in the air from sneezing or coughing. You can become infected by touching a contaminated surface or by shaking hands and then transferring the virus to your mouth, eyes or nose. 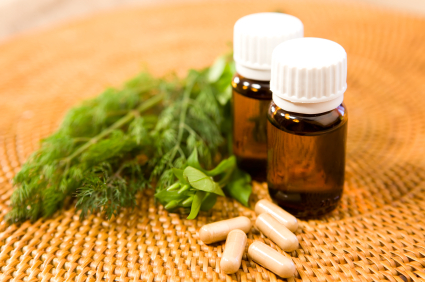 There are many herbal and nutritional medicines that improve immunity and help the body fight infection. Speak to your practitioner about which are most suitable for you. Echinacea is one of the most well-known herbal medicines for improving immunity and fighting infection. It was traditionally used by the Native Americans for this very reason and the traditional use is now supported by scientific research and clinical studies. Good quality Echinacea should give a significant tingling sensation in the mouth. If it does not tingle it is not worth using. Elderberry is another herb used traditionally to treat colds and flus. As with Echinacea this use is now supported by clinical studies. It has an antiviral activity against a number of influenza viruses and probably also enhances the immune system. Other herbs that improve immunity include Andrographis and Cat’s Claw. Important immune enhancing nutrients include vitamin C and zinc. A deficiency of these nutrients depletes the immune system and leads to an increased incidence of infection. It is also probable that infections are more severe and last longer in patients with vitamin C and/or zinc deficiency. B complex vitamins are great for general health and immunity. Vitamin A is essential for healthy mucous membranes which line the respiratory tract. It is advisable to see your practitioner if you wish to improve your immunity and stay healthy. Choosing your own products is common but by doing so it is possible to disrupt the body’s natural balance. Your healthcare practitioner will be able to prescribe good quality ‘practitioner only’ medicines that are best suited to your individual health situation. Posted by Emma Mansfield N.D.